Come see what renowned artists throughout the ages thought about Madonna, the Saints, The Adoration of the Magi, and the Crucifixion. A Professional museum tour guide will take you through the National Gallery of Art’s highlights, historical showstoppers and fan favorites over the course of two hours. Adventures for Creative Tourists is a network of DC Certified Tour Guides that specializes in small group tours with a private feel of the arts, culture, and historically inspired sites. Group meets at the Lower Level 6th Street Entrance to check in with our guide. Group will be directed through the Museum by the guide to view different objects reflecting on religion. This tour will last approximately two hours. At the final, the group will be walked back to the lower level 6th street entrance. Come see what renowned artists throughout the ages thought about Madonna, the Saints, The Adoration of the Magi, and the Crucifixion. 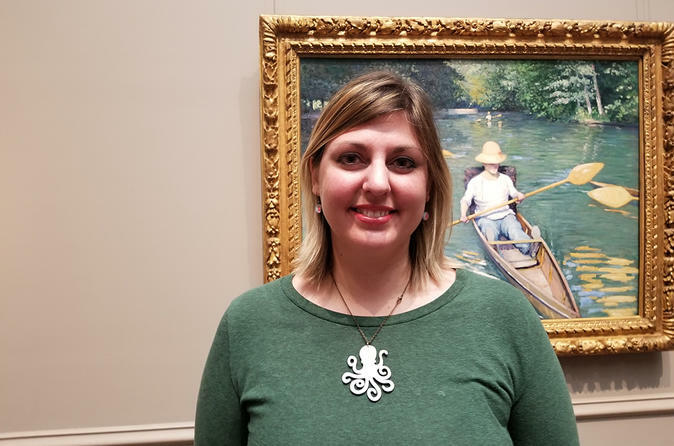 A Professional museum tour guide will take you through the National Gallery of Art’s highlights, historical showstoppers and fan favorites over the course of two hours. Our guide will stop to discuss each piece’s symbols, stories and background. Adventures for Creative Tourists guides have clocked many hours in the National Gallery of Art talking about their favorite subjects. Combing storytelling and the love of art museums always delivers an entertaining afternoon. Adventures for Creative Tourists is a network of DC Certified Tour Guides that specializes in small group tours with a private feel of the arts, culture, and historically inspired sites.